Leave rush hour traffic behind! Come home to an amazing paradise, immaculate inside & out. 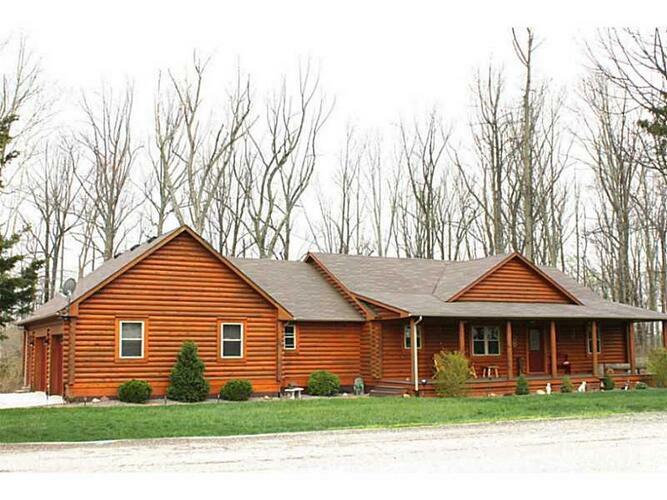 This 4/5 bedroom, 3 full bath "Jim Barna" log home has over 3600 sq ft with tongue & groove ceilings throughout, open floor plan, full finished w/o basement, covered front porch and full rear deck. Loads of custom features incl new kitchen with corian counter tops & pantry. One of five owners of a 3 acre lake! Two car attached finished garage. Nearly 1 1/2 acres. Move in ready!